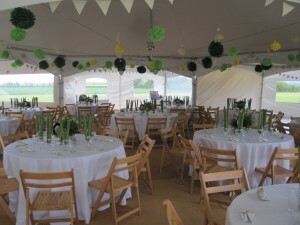 Milton Marquees is a reliable, friendly, family run company supplying traditional pole and modular Chinese hat marquees for your wedding, party, festival and event requirements at competitive prices for areas in and around Dorset, Somerset and Wiltshire. We can also supply furniture, dance floor and lighting and would be happy to recommend caterers, musicians, florists and toilet suppliers for your event. Our marquees will shade you from the sun and protect you from the wind and rain on your big day and as your local marquee hire company covering Dorset, Somerset, Wiltshire our friendly, experienced, well trained team will offer help and advice to ensure your event is a great success.